Contest #133 answer: Palomar Mountain Observatory, California – Where On Google Earth? 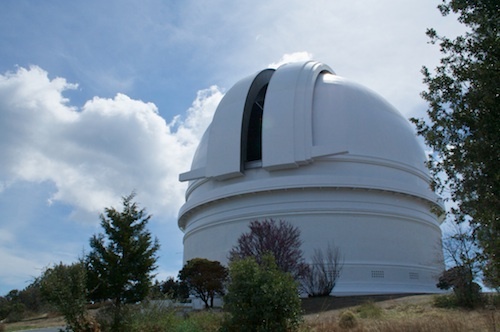 Located in the Palomar Mountain Range in San Diego County, CA, lies the Palomar Observatory. 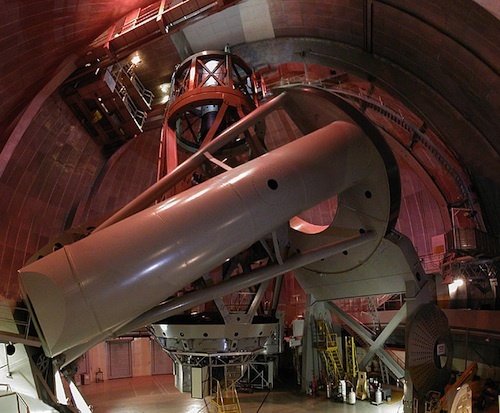 It is privately owned by Caltech and consist of three large telescopes. The largest is the 5.1 m (200″) Hale telescope, constructed in 1948 and up to 1976 the largest aperture telescope in the world.